Thank you for visiting our website – we hope the information that you find here might be of use at this difficult time. At Bereavement Support South Worcestershire (BSSW) we are here to provide emotional support to people who have experienced the death of someone close. 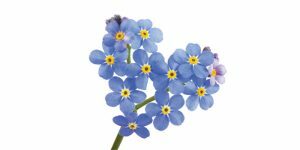 Bereavement is one of the most painful experiences we have to deal with during our life and your emotions may feel almost unbearable at the moment. Although grief is a normal process, you may be experiencing thoughts and feelings that you did not expect. You might feel lost and as if no-one understands you. At BSSW we have a team of experienced, trained counsellors and a child and family practitioner who are used to supporting people following a bereavement, and who can help you to explore your feelings in a safe and confidential environment. We understand that the thought of speaking to someone that you do not know can feel a little daunting and scary; all of the team at BSSW fully understand that it might be difficult to make contact, but please be assured that we are here to listen and help you to begin to find a way to understand and make sense of your emotions. From experience of talking to people who have been bereaved, we know that grief affects everyone in their own way. We will treat you with respect and really listen to what has happened to you. On the following pages of the website, you will find some more information about how we are able to help, how to contact us and some practical information and advice.